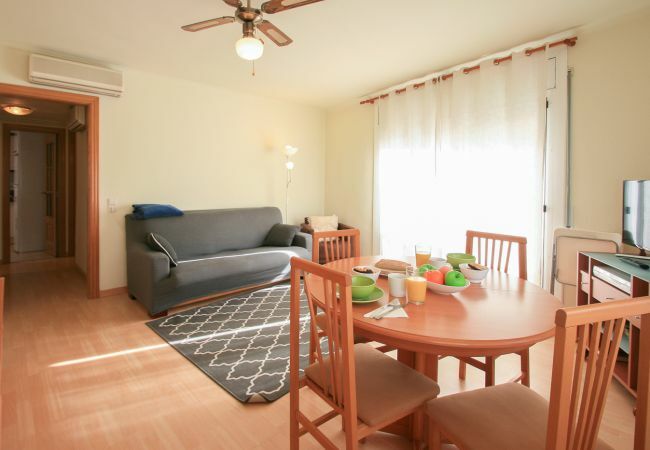 Apartment 2 minutes from the beach. Located in the main area to clubs bars restaurants and wide range of services (bakeries, supermarkets). 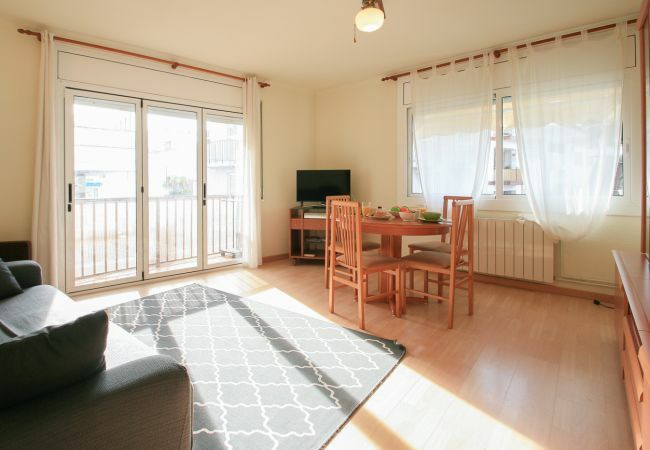 It is located in an ideal area, being the station of RENFE that links with the center of Barcelona and Airport to 5 minutes walking. 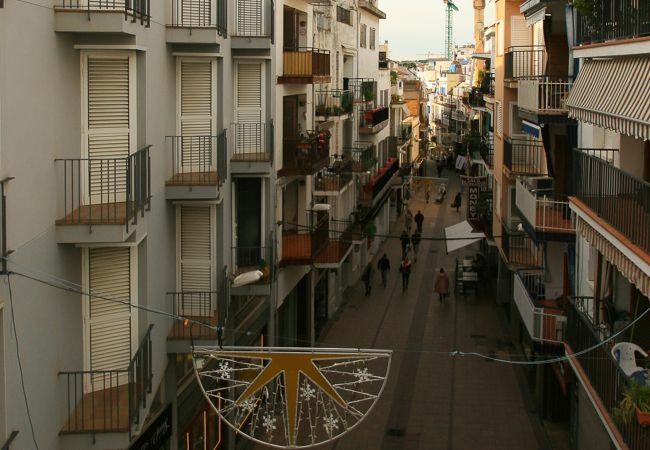 2 minutes walking access to all the beaches of Sitges, because of its location you do not need the use of car. 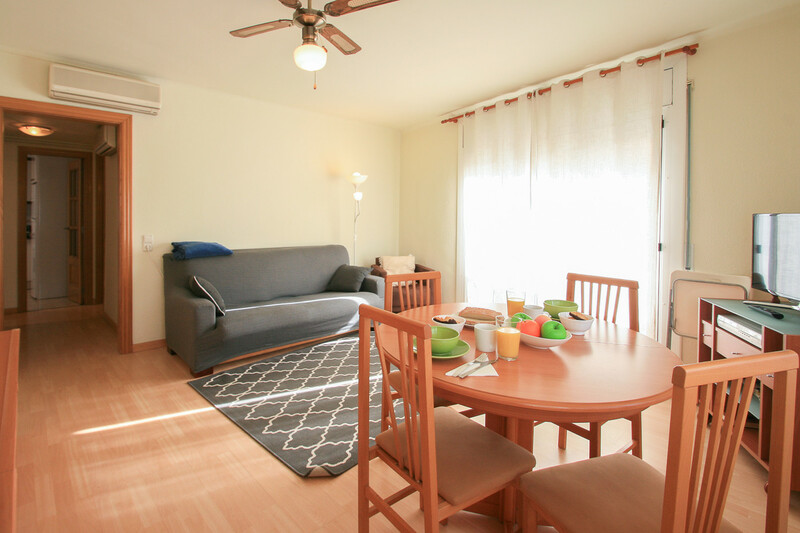 It has all kinds of services, such as washing machine in the utility, air conditioning in the main hall way and lounge and heating throughout the house, so you can enjoy in all comfort both winter and summer. It has WIFI and local tv channels. 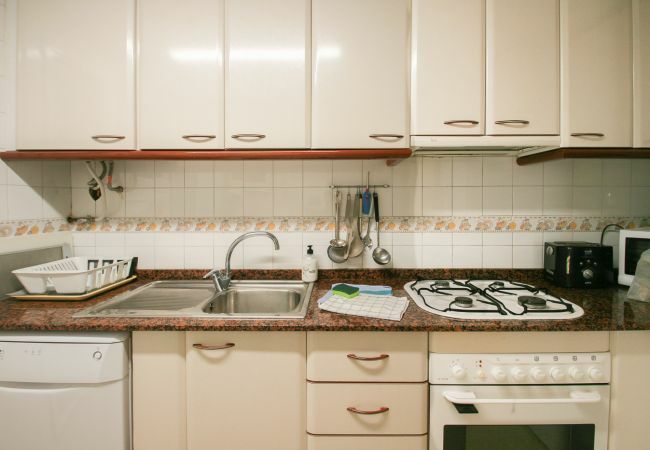 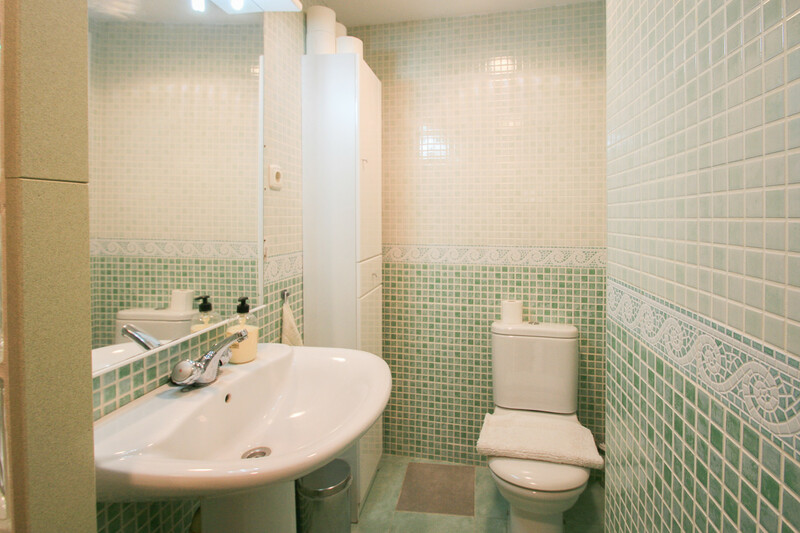 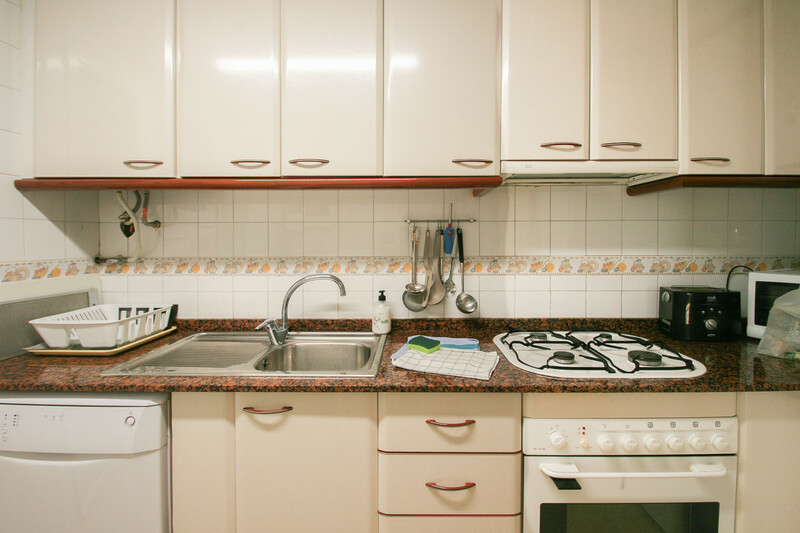 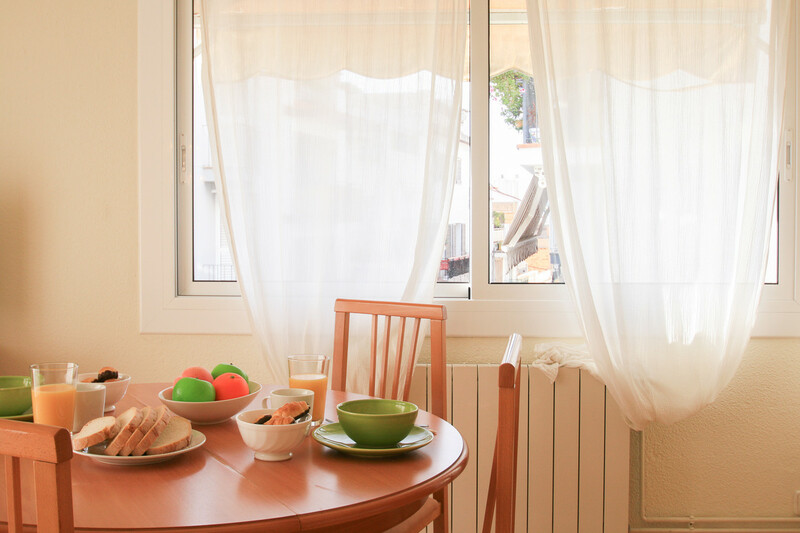 Equipped with all necessary appliances such as sheets towels, cutlery, and everything necessary for your stay. 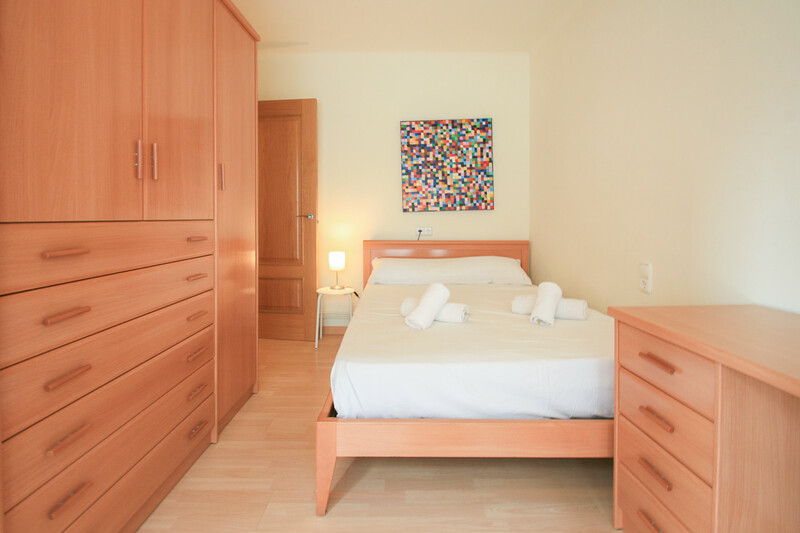 Two rooms have a double bed each and a third with two single beds in bunk bed all with free standing wardrobes. 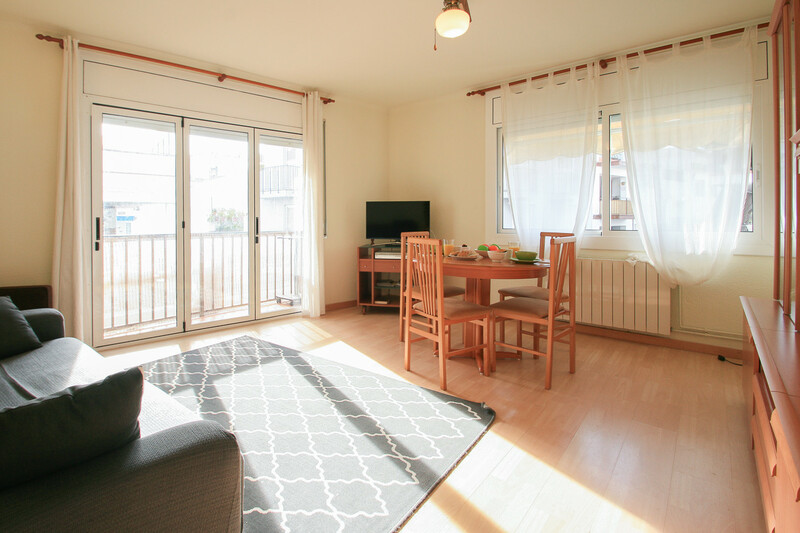 It is located in an ideal area, being the station of RENFE that links with the center of Barcelona and Airport to 5 minutes walking. 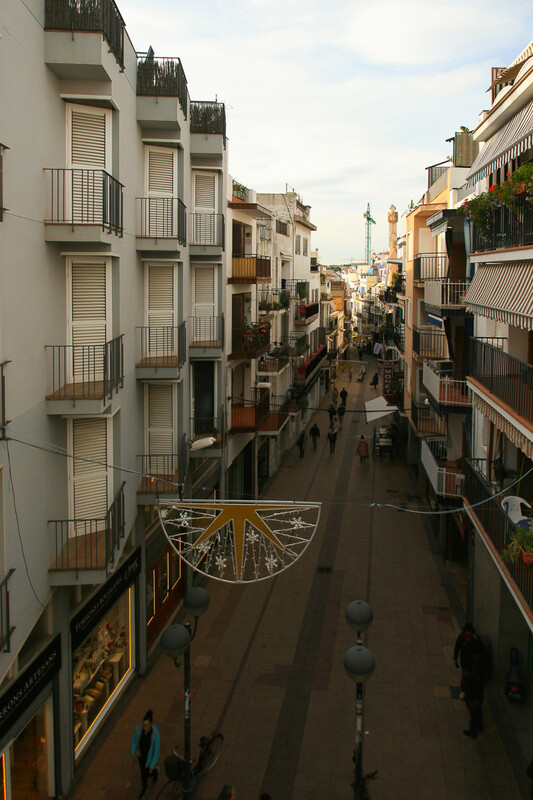 2 minutes walking access to all the beaches of Sitges, because of its location you do not need the use of car. 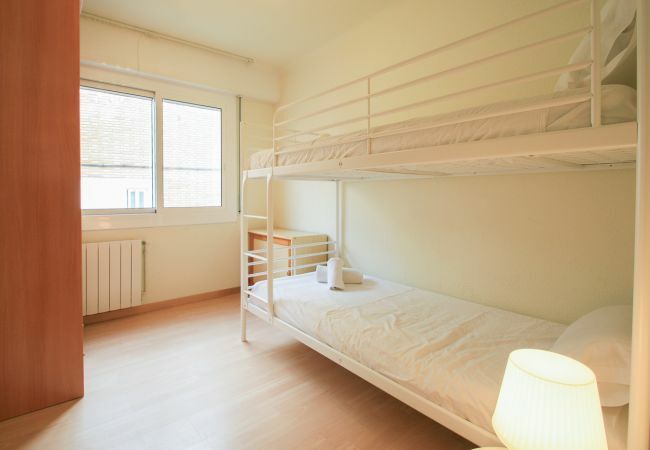 - 2 Double beds, 2 Single beds, 1 Bunk bed. 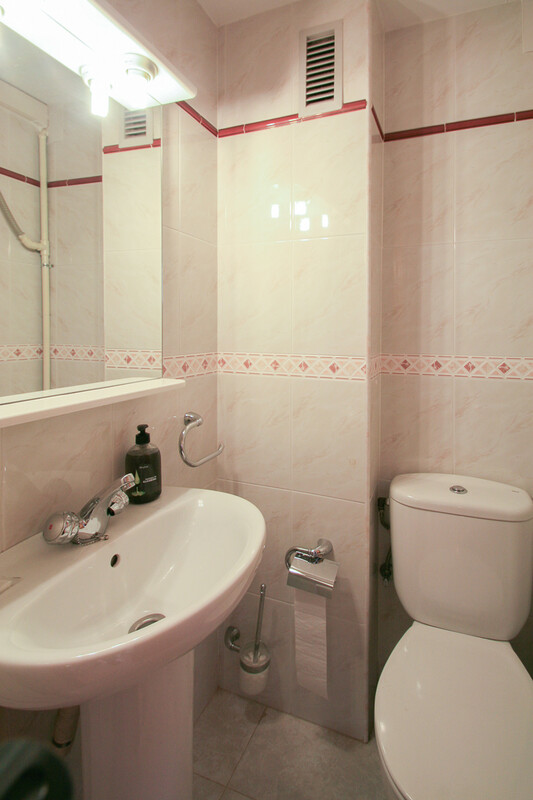 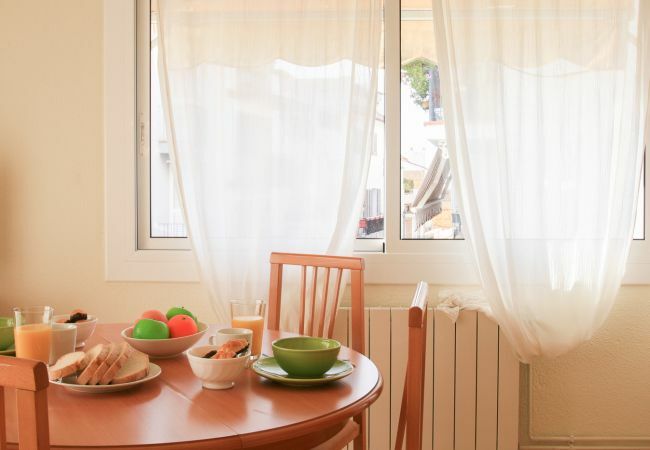 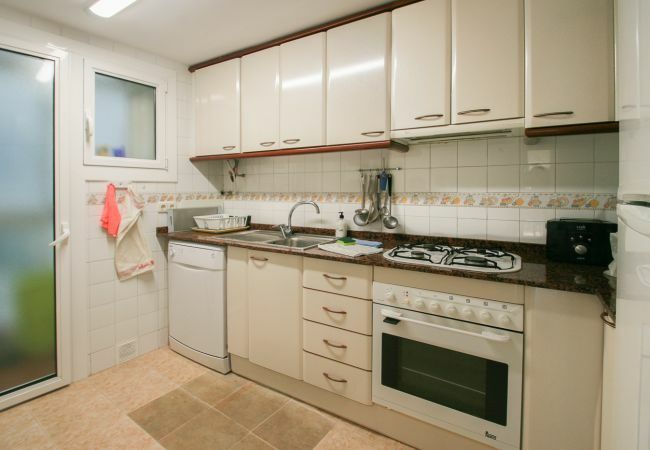 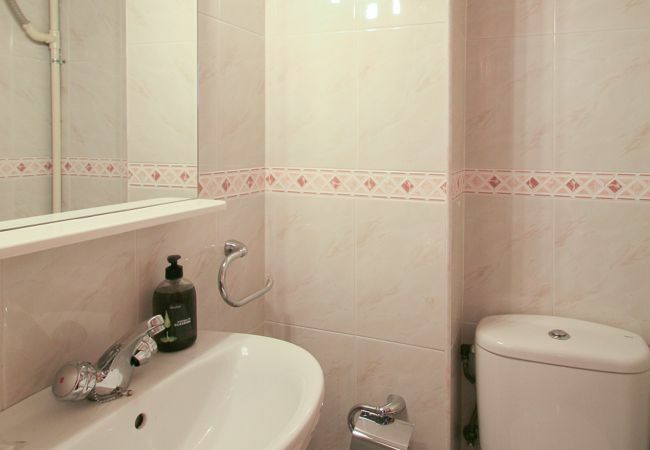 - 1 TV, 2nd floor, iron, internet (Wi-Fi), balcony, 90 m² property, central heating, air conditioning in some bedrooms, 2 fans.